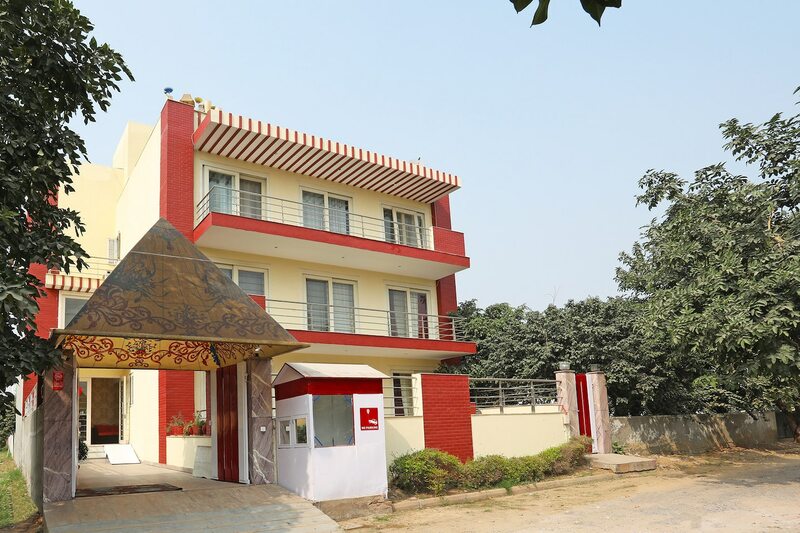 Ashiana Guest House is a modern property with vibrant interiors and balconies, located in K Block, South City 1, in Gurgaon. It is close to Sector-31 Mode Bus Stop, Huda City Centre Metro Station and not far from AMA Travel Shield Railway Station. Leisure Valley Park and Citizen Park are close by. The property is wheelchair accessible and has an onsite restaurant. The common areas and rooms are colourful and the rooms come with large glass doors leading to balconies. Each room is furnished elegantly and feature a TV, AC, and mini fridge. The stylish bathrooms have shower enclosures and geysers. Free internet, power backup, card payment, CCTV security, parking, elevator and laundry facilities are also available. The property is close to eateries like Gyms Kook Xpress, Don't Worry Eat Curry, Health Nuts, InnerChef and Healthie.